How long has Christ Chapel Academy been around? 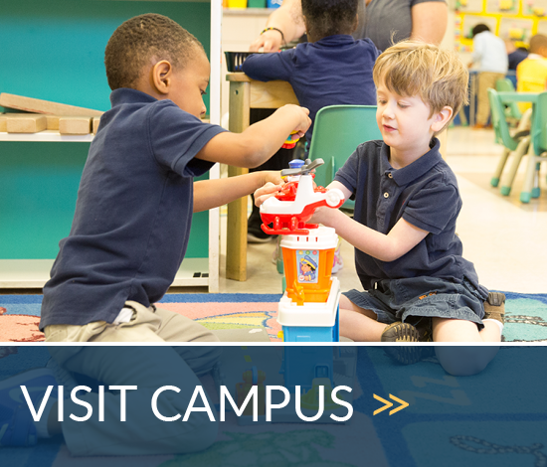 Christ Chapel Academy (CCA) was established in 1992, as a Preschool and Kindergarten program. In 1994 the leadership of Christ Chapel Church approved the additions of grades 1 and 2 to the school program. Each year following 1994, one grade level was added. By 1998 the academy was occupying all available classroom space. Through prayer and careful planning, CCA was able to add a school wing to the building in 2000. The longtime vision of offering a complete secondary program at CCA was fulfilled in the fall of 2006, when the first 9th grade class was added and the second wing completed in 2008. We celebrated our first graduating class in 2009. How do your tuition rates compare to other private schools? Our rates are very affordable in the private school spectrum. We pride ourselves in paying our teachers very well, and any increases in tuition over time, go to insuring we continue that. Do all of your teachers have degrees? Yes. All of our teachers have 4 year degrees from accredited colleges/universities. In addition, all teachers either have or are currently pursuing teacher certification or licenses. We have teachers with master degrees and several teachers are continuing their graduate education. Do your teachers teach doctrine? No. We focus on teaching Bible, and Biblical principles. We have a staff that represents many different churches in the community, spanning multiple denominations. There are also a number area pastors who have students enrolled at our academy. We leave doctrine to you and your local church. What academic tracks do you offer? We currently offer an Advanced Track and a General Studies Track. What programs is your school known for? Our academy is known for strong academic offerings and highly competitive athletic and art programs. Our High School has been chosen as a Top High School in Virginia by Virginia Living Magazine 5 years in a row. They highlighted our innovative Cyber Security program, Annual Missions trip to Albania, Dual Enrollment Program, and more. Our academy has been chosen as the Top Private School in Prince William County, 5 years in a row, by readers of Prince William Today. What kind of schools have your graduates been accepted to? Graduating students have been accepted to: Duke, UVA, Virginia Tech University, Penn State, University of Illinois, Spelman College, The College of William & Mary, George Mason University, James Madison University, Old Dominion University, Liberty University, etc.